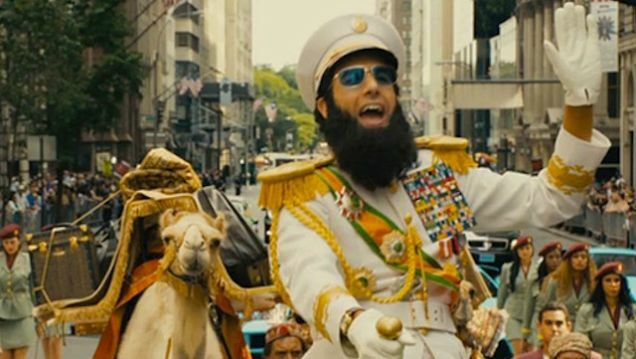 Sacha Baron Cohen just received some great free publicity for his new comedy, The Dictator, courtesy of the Academy of Motion Picture Arts and Sciences. Deadline Hollywood reported last night that the actor had been "banned" from the awards show on Sunday because he'd been planning on showing up dressed as his next character, an anti-democratic dictator named General Aladee. 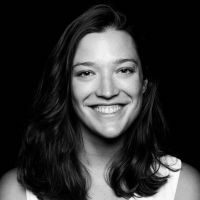 Deadline says that Kimberly Rouch, the Academy's Managing Director Of Membership, told Paramount yesterday that Cohen's tickets had been pulled "unless he gives the Academy assurances ahead of time promising not to show up on the Red Carpet in costume and not to promote the movie on the Red Carpet." Today, however, an Academy spokesperson rephrased the statement for CNN's report: "We would love to have Sacha Baron Cohen at the Oscar show," the spokesperson said. "We have expressed [to Cohen] that we don't like our red carpet to be used as a promotional stunt. We're waiting to hear from him. We've put the ball in his court." Dictator's don't usually play by the rules, though, and Cohen usually stays in character. It'll be interesting to see how he plays this standoff.